What’s in a Fique Mochila…? Home » Blog » What’s in a Fique Mochila…? 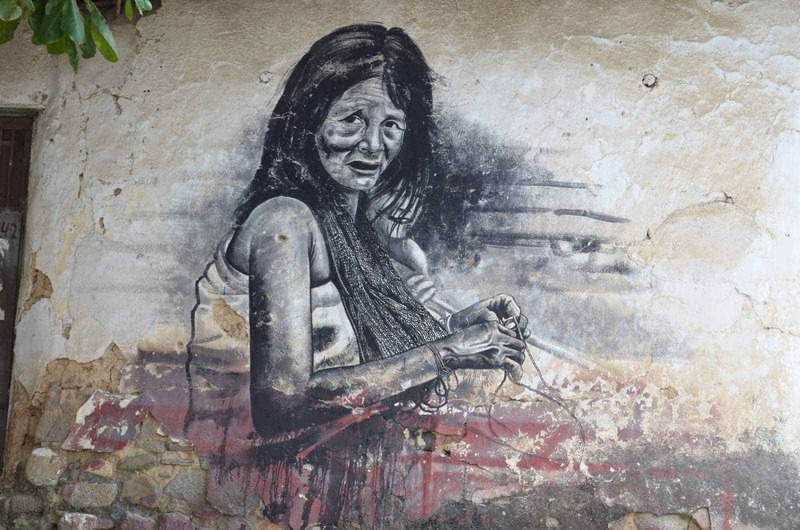 Portrait of a Kankuamo woman weaving a Fique Mochila in Atanquez, Cesar. The story of fique mochilas is synonymous with that of the Kankuamo people. The origin story tells that they are one of four indigenous tribes tasked with maintaining the natural equilibrium of the Sierra Nevada of Santa Marta. Along with the other three tribes (Arhuaco, Kogui, and Wiwa), the Kankuamo are part of the four pillars of the earth. Each pillar of equal importance and relying on the other. Rio Badillo. La Mina, Cesar. 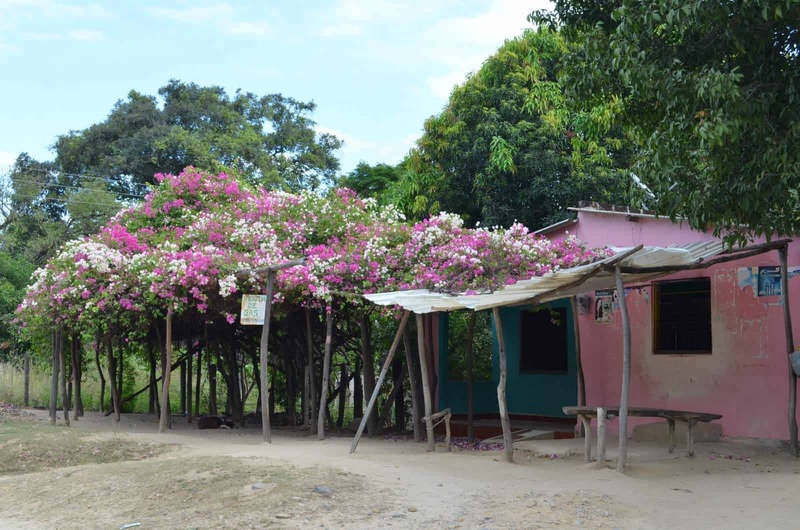 This is the area where the Kankuamo live on the slopes of the Sierra Nevada of Santa Marta. The Sierra Nevada of Santa Marta is the worlds highest coastal mountain range, rising 5,700 meters (18,700 ft) above sea level. 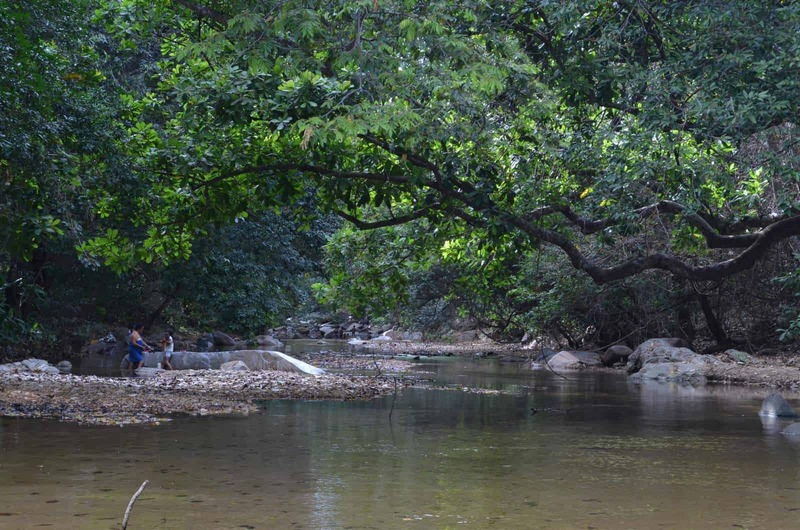 It is a sacred place for the Kankuamo and the other tribes living in it. The first father said to the four tribes of the Sierra that they were destined to be the guardians of the world. He also said they needed to ensure and maintain the equilibrium between humankind and nature. Interestingly, when the four tribes work to spiritually and environmentally cleanse the mountain, access to the Sierra Nevada is restricted to outsiders. During these periods, water springs replenish and wild animals roam free; which is not the case when there are tourists in the area. Restoring balance is of vital importance to the area’s ecosystem; in 1979, UNESCO declared the Sierra Nevada one of the world’s biosphere reserves. A small shop in Atanquez, Cesar. 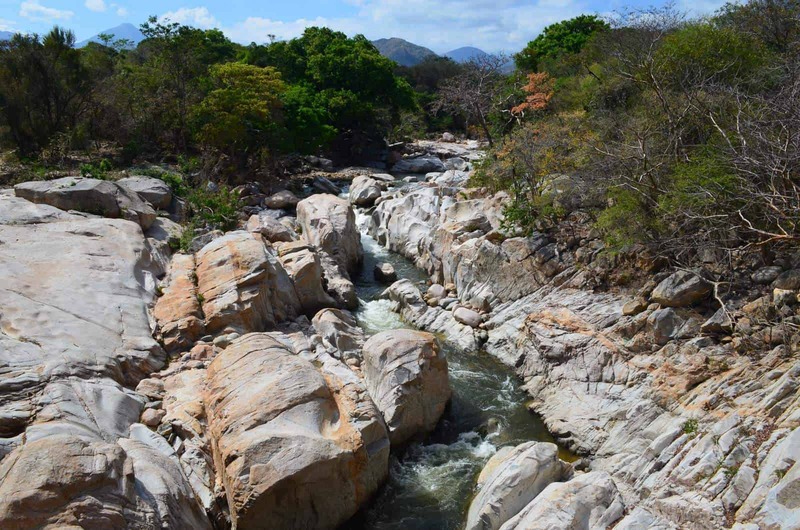 The Kankuamo live in the southeastern slopes of the Sierra near Valledupar in the department of Cesar. They have had an especially difficult and traumatic experience with outsiders and modern “civilization”. For years, the Kankuamo were subject of human rights abuses and strategic extermination due to the conflict between leftist guerrillas and right-wing paramilitary groups in the area. Consequently, many members of the tribe were killed, and many more were forced to leave their lands. These events had devastating effects on their culture. Their sacred sites were taken over by illegal groups as well as by government forces trying to protect the territory. The interaction with outsiders has also led to the loss of their cultural identities and their language. 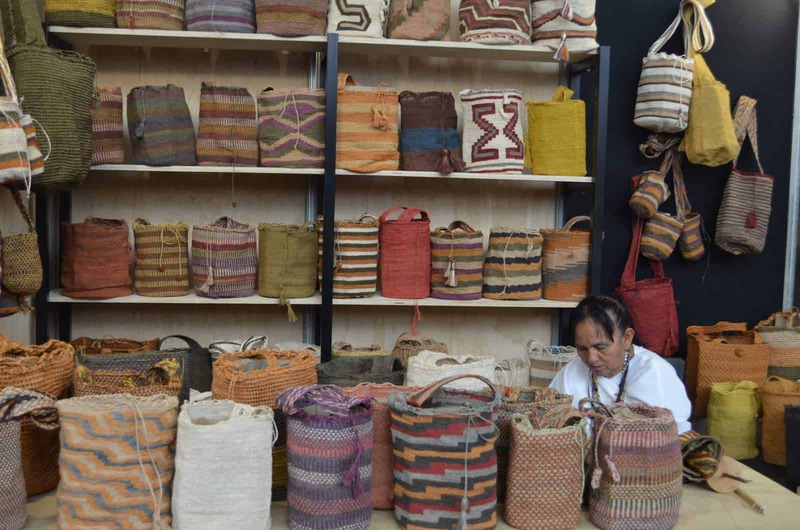 For a while, the Catholic church imposed religious shame on the Kankuamo which led them to adopt the Spanish language and stop many of their ancestral traditions such as the weaving of fique mochilas. 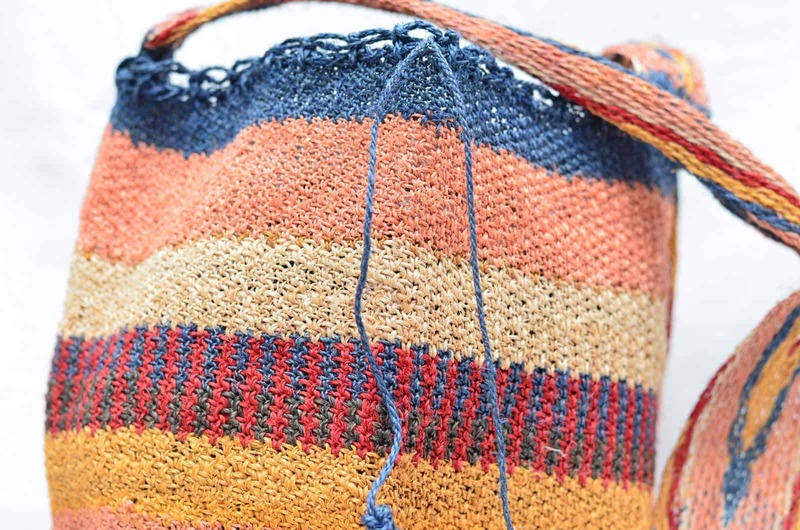 While the fique mochilas are now sought-after fashion accessories, for the Kankuamo they are culturally important traditions and integral to their way of life. The mochilas reflect the origin of life and pay homage to the snowy mountains they call home. Their patterns reflect the animals that live in la Sierra Nevada, as well as the sun which provides the energy for plants to grow. Furthermore, the fique mochilas were also used as currency. The Kankuamo would trade the mochila with other tribes in exchange for food, textiles, and other goods. Kankuamo woman with her display of Fique Mochilas at a trade fair. Today, fique mochilas are even more important to the Kankuamo, as their survival depends on the income generated by the mochilas. Besides, the mochilas represent the revival of their ancestral traditions. Moreover, through organizations dedicated to promoting the mochilas, the Kankuamo have started to reclaim their language and teach it to the younger generations. Mochila patterns pay homage to the snowy mountains. Finally, through the sale of the fique mochilas, many young members of the tribes have been able to pay for university education, in some of the most prestigious institutions in the country. It has also allowed most Kankuamo women to become heads of their households. Overall, the mochilas have helped the Kankuamo take pride in their heritage and their ancestral ways. Hence, leading the way for the re-strengthening of the fourth pillars of the earth to help maintain the fragile balance between man and Nature.